15 December 2016 by . Father Tomislav: Dearest brothers and sisters, I welcome you and announce you today’s subject which is “The manifestation of the children of God in the whole universe”. Why this subject? We have spoken about the times of the Antichrist and the times of the triumph of the Immaculate Heart of Mary; we have spoken about the glorious manifestation of Christ and the manifestation of the Mother and Queen of the universe. Therefore, it makes sense to speak also about the children of God in the whole universe. These days, in the introductory verse of the Holy Mass we have heard the words of Zechariah, «Then the Lord my God will come, and all the holy ones with him». St. Paul says in the letter to the Romans that all creatures in the whole universe are groaning and waiting impatiently for the children of God to be revealed. This means that the awakening of the children of God and their manifestation are decisive also for creation, that is, also for matter. The whole Mystical Body of Christ will manifested itself; all those who welcome the living Jesus Christ and who live fully the life of Jesus Christ will manifest themselves. This manifestation has certain aspects that we must underline: the saints and the angels are in action in the dimension of the pure Spirit; they are supported by the faithful brothers and sisters to God who also support the Central Nucleus. A year has passed since the evangelisation of the low universe has begun. Several planets have been evangelised; they have received the Gospel and Baptism; Christian communities have formed. During this year God has united all those on Earth who have come together to join the plan of the Immaculate Heart of Mary in the Church of the whole universe in the same spirit, in the Spirit of Christ. Mary Most Holy, Mother and Queen, the central and most important member of the Church of God is united with all the children of God and St. Joseph is with Her. 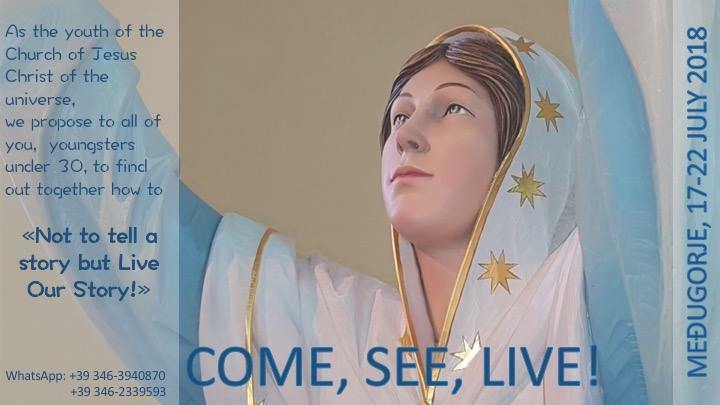 She has given a message through Stefania Caterina to the Foundation “Fortezza dell’Immacolata” (Fortress of the Immaculate) on 8 December, 2016; in this message She traces the way of the triumph of the Immaculate Heart of Mary and, thus, the triumph of the children of Mary, that is, the triumph of God in our souls, which is the manifestation of God in our souls. So, the message has been given also for you so that you too recognise the plan and how you may participate in the triumph of the Immaculate Heart of Mary. The evangelisation that is taking place in this time also on Earth is not a theory; it is the power of the Holy Trinity united with the whole Mystical Body of Christ in the universe which is going forward with the power of the Holy Spirit, and it will not leave out even one lost, lonely soul but touch and awaken everyone so that they may decide to choose Jesus Christ or to stay on the side of evil. We have divided the message in two parts so that it is easier for us to comment and for you to understand. My Heart is filled with joy seeing that you have gathered in the name of My Son to celebrate the gift of My immaculateness. My immaculateness is not a privilege I keep to myself, but a gift of God I offer for you and share with you. I wish to be immaculate among immaculate people who welcome Me as the Immaculate Mother. Dear children, we have walked together along this year that is about to finish. We will soon enter 2017 which is the centenary of My apparitions at Fatima; a hundred years of long and painful history for the people of God on Earth and in the low universe. Now, though, the Almighty Lord wants to bring to fulfilment what He has promised at Fatima: the triumph of My Heart must take place in My children, in the people and in the entire humanity. You are the yeast that must make the whole people of God grow on Earth and in the universe. You are part of this great people that is present in the universe. Therefore, my children, one year of journey together is awaiting us to prepare for all that the Lord has planned. The Lord has planned only good things for His children. He wants the good and the fullness for the whole of humanity. My and your Lord does not look at the differences between peoples, languages and planets because He created all of you with immense love; with this immense love He wants to reunite you all in His Heart through My Motherly Hearth. Children, the time has come for this people to be mature to welcome and carry with love the Cross of My Son. I want to help you see the difference between the trials and the cross. All of you go through trials because life is difficult on this planet because humanity is distant from God; for this reason you have hardships, as My Son has told you. They are the trials of your life through which God makes you grow. No child learns to walk without falling and getting up again; this occurs also in the life of the spirit. The tribulations of your life are the trials God gives you to see if you are faithful to Him, and in this faithfulness, day by day, He realises His promises in you. Nevertheless, He also chooses your souls to entrust you with His Cross; a cross that is independent from your tribulations, your trials, from what you are going through and from your sins. It is a cross that redeems humanity. If you welcome it, you participate fully in the work of redemption. If you observe carefully what occurs in your life but also in the life of your families or your peoples, you will notice that there are sufferings that repeat continuously and you do not know why. You do understand neither where they come from nor where they lead you because they are beyond you. There is no reason for them in your being but in your belonging to God. In fact, if you belong to Christ you carry His Cross, not any cross but the Cross of My Son, the Cross that has saved you. Jesus now lives in glory, death does not touch Him anymore; the Cross does not touch Him anymore but the Passion of My Son is continuously renewed in His people until the end of times as long as there is one man who needs to be saved. In the people of God, in each one of you and in all, the incarnation, Passion, death and resurrection of My Son is revived. Now God wants to entrust each one of you and all this people with a part of His Cross. He does not entrust you with the whole of His Cross because you would die, but a part, a piece of His Cross, and you have to welcome it with love. When speaking about the cross also most Christians react with indignation, even though in baptism they have chosen to die to themselves and to sin and to live for Christ. Thus, Our Lady faces a fundamental problem to make the Christian people reconsider it, to make all children of God who have not known salvation yet reflect on it. To be blameless means to participate fully in the life of Christ from His conception, through His birth, His teachings, His Passion, His death and resurrection and also in His glory. Without looking at the whole path a Christian is unable to assess his integrity and to recognise what he has to do; he can shape himself according to psychology, sociology, anthropology, in the way the man of the Earth understands it, but he will not be able to recognise his integrity as a child of God. A Christian cannot expect to be saved without wanting to save others. Every living being generates life otherwise the species will die out. The Christian who expects salvation and paradise without participating in the salvation of others does not give life; he can pass on a culture or a theory but no life. It is very important to understand that this means to follow the path of the apostles. All of them had to participate in the Passion of Christ, except Judas who withdrew and committed suicide. And the apostles, by participating in the Passion of Christ, were lifted in the power of the resurrection and already on Earth they participated in His heavenly glory as their horizon widened, and the aim of their souls was the new creation. Exactly this aspect is missing nowadays: man is focused on Earth, on survival. So, who wants to be ready to participate in the triumph of the Immaculate Heart of Mary, to the manifestation of the glorious Lord; who wants to enter the new creation has to go towards the laws of the pure Spirit which defeat every hostility, elevate us beyond every barrier, also that of suffering, and beyond death. Then, inside us we gain our first victory; the first victory that inserts us in the resurrection of Christ, and the horizon opens up for the glory of the Lord. Jesus is the Way, the Truth and the Life, there is no other way. “In the past years you have gone through many trials but now you have to take on the Cross, the one with a big initial letter. If you do not do this, you cannot live the triumph of My Heart. My Heart has triumphed at the foot of the Cross; it continues to triumph at the foot of the cross of each man and of the people of God until it will definitively triumph in the new creation. We have to get there, children, we have not arrived yet. I am among you; I am with you in your trials and I will be even closer to you when you carry the cross God will entrust to you. Do not fear, you will not receive more than you can carry. All will be proportionate to the structure of your soul, to your capacity and your originality. Nothing will be beyond your strength and you will not lack anything. You, however, have to be faithful to the promises you have made. When you took the sign that you wear on your chest in Medjugorje you have taken a cross, do not forget that. The cross is the sign of salvation, not of tribulation; the cross is the sign of victory, not of defeat. Each cross entrusted to you by God is in favour of the whole of humanity and of those who are unable or cannot carry it because they have not received the graces you have received. Each cross carried with love opens the doors towards the new creation to you and the whole people of God. My children, I beg you, I implore you: accept the Cross of My Son otherwise I will not be able to help you! Do not shut yourselves up in your trials, your hardships, the things of every day. If you take on the Cross of My Son, you will win all your trials, your tribulations, your doubts and fears. The Cross of Christ annuls the enemy and is a sign of salvation that is recognised in the whole universe. I am with you as I was with My Son when He was carrying His Cross. On the Way of the Cross you remember my encounter with Jesus on the way to Calvary, and this is right. In fact, I did not only encounter Jesus at the foot of the Cross but I accompanied Him towards the Cross. Along the painful walk our eyes crossed in the salvific suffering that united us. In every time and in every place the suffering of My Son and Mine united together accompany every man who goes up to his Calvary carrying Christ’s Cross. My children, I promise you that if you are ready to carry the cross that My Son will entrust you, it will turn into sweetness, strength and joy. God never asks from His children anything that is not for their joy and their good. Do this step with Me. Stop being satisfied with measuring yourselves only with the little difficulties of each day, with your personal problems, depressions, fears and conflicts. Embrace generously the Cross of My Son and in it you will find salvation for you, for your families, for the whole of humanity. Today I place My wish into your heart that this people be a people of co-redeemers who generously help My Son carry His Cross; not like the Cyrenian who murmured and cursed but like beloved children who love and convey with love all that the Lord has entrusted to them. I bless you, dear children, I am with you. I thank you for every little sacrifice you have made in your life out of love for My Son and Me. None of them will be lost as My Motherly Heart does not forget anything except sin. I forget your sins because My love goes beyond everything, even your sins. And from now on, children of Mine, when you go through hardship in your life – and I know how life is on Earth – give Me your sorrows, put them into My Heart, entrust them to My hands. I will take them to God and you will be free to serve the Lord in fullness carrying His redeeming cross. In this passage Our Lady traces the path of transformation that leads to the triumph of Her Heart which is the triumph of the life of God in us. This is the only path which is unique. She asks all of us not to withdraw into our problems, our hardships, our negative dynamic, our clashes, our restless human reflections because all this does not lead us to transformation but will leave us empty inside and full of bitterness. Our Lady points to Christ’s Cross. Those who embrace Christ’s Cross with generosity will not just find a piece of wood but living Jesus who has impressed His complete victory on the cross; when Jesus entrusts the Cross to a soul He entrusts Himself, and He will carry the cross in that soul. For those who generously welcome the cross it does not make sense anymore to remain locked in the troubles, fights, considerations as then inner healing takes place and transforms all into sweetness. We have often quoted a saint we feel close to us, St. Francis of Assisi. When he kissed a leprous man a complete change occurred inside him. Instead of being horrified he felt tenderness; by embracing crucified Jesus, who gave him the stigmata, St. Francis sensed all the sweetness. This is the passage we have to do to make the Immaculate Heart of Mary triumph in us, to make life triumph, as we generate life for those who are week, seduced, marginalised, those who have not met Jesus Christ yet. This is the path and there is no other. Thus by embracing the cross Jesus entrusts to us – He entrusts it only to the persons who love Him, who love the salvation of others and do not look after their own interests – we experience to be lifted up, we open up more and more to the laws of the pure Spirit, we develop further in glory and go forward towards the new creation; this is the path of the transformation of the universe. Stefania Caterina: Dearest brothers and sisters, I welcome you and I want to share my personal experience with you which is really the experience of the participation in Christ’s Cross. I must say that from the beginning, since my childhood the Cross of the Lord has accompanied me in the visions and in the words of Jesus until the Lord expressly asked me if I was ready to carry His Cross with Him by suffering also with Him for the salvation of the world. I have been asked this many, many times and always before the revelations that were given to me afterwards. The more the revelations gained intensity the more present Jesus became always asking me first if I was ready to carry His Cross. I must tell you that many times Jesus cried while asking me and He said that He could not find souls who were ready to carry this cross. However, from the beginning it has always been clear to me that the greatest of all gifts we may manifest is the love of Christ; even all messages, revelations and preaches are useless if we do not convey the love of Christ; however, the love of Christ was revealed in its fullness and depth on the Cross because it was on the Cross that Jesus saved us. Thus, anyone who receives messages or anyone who has the gift of certain prerogatives inevitably must participate in the Cross of Christ and take the part of the cross designed for each one of us, and so it was also for me. Accepting this has brought about a transformation of my person. Slowly I left behind many things finding others instead inside myself, but at the same time God could develop certain aspects in me which were also in favour of His people. I think that through me many words have reached this people along the years, but all this was not possible because I am good or because I am perfect – many people think that a seer, a mystic person, ought to be perfect – no, it is because I adhered to the life of Christ, I adhered to His path and also to the path of the cross, and this has opened me up widely inside myself. This is valid for each one of us. If you want to go forward on this path of getting to know God, you cannot skip the participation in the Painful Path of Calvary, because you will discover the love of Jesus when you discover the cross. Jesus is present on each of our crosses; He follows us and loves us; but by giving us a part of His suffering on the cross, He transmits Himself to us; He transmits the part of Him that is the most profound: the salvific part. So, I can say that in my experience, all the words Jesus entrusted to me, passed through the cross. Otherwise I would be only a repeater of messages, something mechanical , as unfortunately sometimes seers are thought to be, like a kind of parrot that repeats words – it is not so. Each word must be incarnated and lived; I would be the first to have failed if I did not live the things I tell you. Thus, I would like to encourage you and also tell you that when the Lord gives the cross, this cross really turns into sweetness. One gets to the point of being happy to suffer for Jesus as one understands that in that cross, in that suffering all His sweetness is contained, all His love and that there can be no failure. The cross that God gives us is not the cross man loads on us. Often when men throw a cross on us it crushes us, but the Lord has said: “For my yoke is easy and my burden is light”. His Cross is sweet and light and does not make life difficult, on the contrary, it opens a path in front of us that is always new, and that new path, day by day, will take us to the new creation; I wish you, and I hope that you may respond by accepting the Cross of the Lord so that in front of you and the people a path may open up that is always new. Father Tomislav: I wish you Merry Christmas, happy holidays and a good beginning of the New Year. I have two wishes for you in particular. My first wish is: welcome Christmas as a reality. The solemnity of Christmas is not a sentimental feast. Unfortunately, nowadays people speak about the charm of the magical spirit; yet, Christmas marks our life from the beginning to the end in the hard reality of the Earth. Who opposes the Cross of the Lord will carry his wounds inside; who distances himself from Christ, from His Cross, will remain alone with his cross. The crosses of the individuals, of humanity, and the trials will be huge because the Lord must purify His people. Thus welcome Christmas realistically and welcome it in your life; by entrusting you a part of the Cross, just a small part, He entrusts you with a great gift which is for the transformation of humanity. 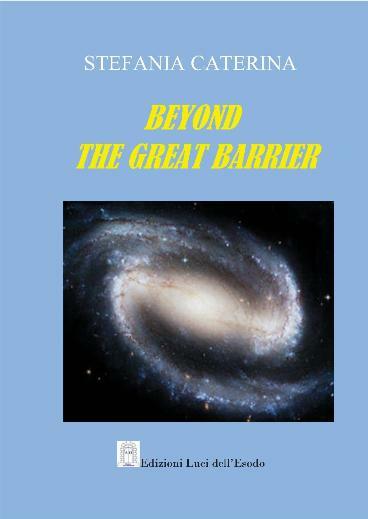 My second wish is that the new people of the whole universe may become a living nativity so that the birth of Jesus Christ may be visible in the whole universe, and, that the Earth too may give its own testimony because in this moment from the whole universe all are looking at this small people who has accepted these programmes; they see the courage of this people to unite with the Church of the whole universe. Naturally, in our own way, we lift our head up and praise God in the trials; as we go through the trials and through life as it is trusting in God, loving God, we elevate ourselves and unite more and more with the only Church of Christ in the whole universe. I bless you; may the Holy Spirit descend on you, act in you, prepare you for the coming solemnity of Christmas so that you may discover the precious treasure you have received with baptism and with the sacraments; may your horizon widen not only for you as individuals but also as a people that is able to be in the Spirit of Christ and wishes the renewal of the Pentecost that the apostles experienced together with Mary Immaculate; may you too participate in the Spirit of Christ and unite with all the children of God so that we are only one Body of Christ; in the name of the Father, of the Son and of the Holy Spirit.